Cannabis Growers of Canada (CGC) is deeply concerned by the Ontario government’s proposed Bill 45 which will place medical cannabis under the Smoke Free Ontario Act. 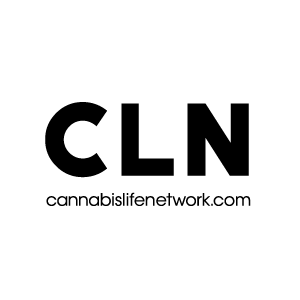 CGC believe that this proposed regulation is wholly inappropriate for dealing with medical cannabis and cannabis lounges, and will result in unreasonable and unfair restrictions on the rights of medical cannabis patients. 2. Stores that sell cannabis vaporizer devices would be barred from explaining how these devices work to medical cannabis patients. This even included Health Canada-certified medical cannabis vaporizer devices. 3. Cannabis lounges, which currently provide a safe, private environment for individuals to consume medical cannabis, would be put out of business. For medical cannabis patients who live in condos, social housing, or other housing situations where consuming cannabis in the home is not allowed, this would leave them with nowhere to medicate. This would force medical cannabis patients to medicate in public spaces, putting them at risk of harassment and making the general public uncomfortable. CGC believe that this list of unacceptable consequences make this proposed regulation a non-starter. While we welcome the development of sensible, evidence-based regulations governing the use of medical cannabis and cannabis lounges, a heavy-handed attack on the rights of medical cannabis patients does not serve the interests of the citizens of Ontario. CGC calls on the Wynne government to shelve Bill 45, and to rethink their approach to cannabis regulation, before the government of Ontario is put in the position of denying medical cannabis patients their fundamental rights.